Traveling first class is as good as it gets. Premium check-in, spacious and comfortable seats, a lot of leg room, great variety of food and drinks, free alcohol and a small number of fellow passengers – every aspect of onboard service is perfect. Obviously, the opportunity to enjoy such a luxury while being up in the air isn’t cheap but there are ways to save quite a lot on first class flights. There are various upgrades you can purchase right at the airport which will cost substantially less than a full first class ticket. Careful planning is another good way to pay less for a flight. Tickets purchased well in advance always turn out to be cheaper than those booked right before the flight date. If you want to spend less on a great travel experience prepare to be very flexible with flight dates and destinations as airfares may differ quite a lot depending on the day of the week and the airport from which you depart. How do people fly first class? 1. Easy way — Just buy expensive tickets. 2. You can buy miles for your airline and upgrade your tickets. Read more about Asia miles. 3. Use help of services as cheapfirstclass.com to find airfares. 4. Follow 30 ways below to get discounted airfares. At cheapfirstclass.com we specialize in finding airfares that will satisfy both you and your wallet. If you’d like to get a great first class flight deal at the lowest rates on the market, don’t hesitate and call us at 800-818-2451 or use a free quote on this page right now. cheapfirstclass.com specialists will get back to you with amazing first class deals on airfares to nearly everywhere in the world within a few minutes. cheapfirstclass.com makes the luxury of first class affordable. 1. cheapoair.com – it finds low prices first class available for booking. 2. onetravel.com – just search engine which can find you some first class flight. 3. cheapfirstclass.com – this service can save you up to 65% on your tickets (even if you see these tickets on search engines with bigger prices). For your attention, the sites for the search of first class airfares are introduced. ASAP Tickets is a service embracing 650 more travel agents, which provide the best flight deals for their customers. The ASAP Tickets offer discount airfares, group travels, round-trip/one-way/multi-city flight deals and many other useful features. In addition, the customers may find any information related to the air travel such as hotel booking, car rental, visa information, and organization of business meetings and conferences. Here you can find first class air tickets to Europe for $3050 only! OneTravel is a searching service to find the most specific details of your trip. In addition to the flight deals, the website offers the search of car rental, hotel booking, vacation and cruises options, and many other featured deals such as type of flights, theme travel and fixed price flights. If you want to search by the cabin class (business/first/coach), you can choose the appropriate section at OneTravel and enjoy the results. For example, the best first class deal from NY to London is available for $7273. CheapOair is a brother-site of OneTravel website, since both of them are owned by Fareportal. Despite the similarity, the websites offer various search options in addition to the ordinary ones. The search options of this website include top deals, travel by interest (military, student or last minute travel), travel by region (Europe flights, Caribbean flights etc. ), and price-related travel (flights under $199, first class flights, etc.). The website offers the best first class deals for both international and domestic flights, e.g. from Miami to NY for $630 only. Fare Buzz is another airfare search engine in the web, providing its services since 1994. A peculiar feature of Fare Buzz searching website is its blog, where you can find various astonishing articles about traveling and tourism. The website always offers top flight deals to different destinations, for example, business class flight from Boston to Zurich for $1977. Other searching features such as car, hotels and vacations are also available. It is also recommended to use its City Guide feature, providing rather interesting and useful information of what-to-do in the city you have selected. How Much Does a First Class Plane Ticket Cost? This question comes into the mind of anyone who’s about to fly from the USA to Europe. In searches of the answer, we checked some prominent airlines and found out the prices for round trips. 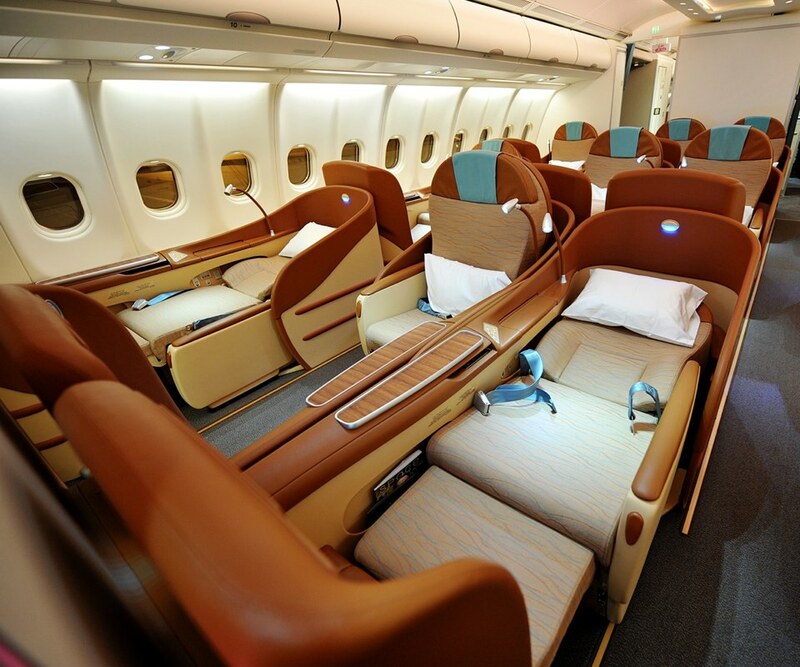 Read the guide below and boost your knowledge of how to get cheap first class tickets. The largest air company of the Middle East is based in Dubai. Their fleet comprises wide-body aircraft so passenger flow on Emirates is quite impressive. Although the United Arab Emirates have always been associated with luxury, it’s possible to find cheap first class plane tickets here. On average, it’s gonna cost $2856,42. One of the key players on the Asian market offers a plenty of opportunities to find cheap first class flights from the USA to Europe. If you seek privacy, their Prestige Suite will be the right choice for you. Besides, Korean Air’s premium-class food wins the prestigious Mercury Award nearly every year. And you may get it all at the price of $2744,69. If you choose from the U.S. air carriers, Delta is probably the wisest option. With bedding accessories from Westin Heavenly and a lavish amenity kit, you will perfectly relax during your long-haul flight. Moreover, the airline provides all the necessary features that will help you manage your business tasks. And all this will cost just around $2687,59. This airline is considered to be one of the most popular throughout Europe. Dutch sense of business is reflected in everything they provide: the elegance and simplicity of cabin design, rational use of space and seat arrangement. To save you from boredom, every aircraft is supplied with the onboard entertainment system. An approximate price of a first class seat is $2596,27. Meet another great carrier enabling you to find a cheap first class airfare from the USA to Europe. An interesting fact: the company offers onboard entertainment to passengers in all classes. As a Premium Class traveler, you can take a long sleep because your seat transforms into a fully flat bed with just a touch of a button. The roundtrip price is quite affordable: around $2744,95. The UK flag carrier obviously gives its clients everything they may need: the top-class service, unique facilities like bigger baggage allowance, access to VIP lounges on the ground etc. What’s amazing, you are gonna pay like $2698,50 for such a flight. So this was our quick research on how to fly first class for cheap. As you can see, there are a plenty of opportunities – you should only know where to look for them. Nowadays, the purchase of business class upgrade is like an expensive lottery. Sometimes, it may cost almost the full price of coach ticket without any guarantees. In this case it better to use miles in order to get a promotion to business class. If you use various air carriers, you should tie your credit card to a point accumulating program. Such programs as Chase Ultimate Rewards, American Express Membership Rewards, Starwood Preferred Guest and many others enable you to transfer points from different airliners. The credit card options have gainful earning structures even despite the barriers of some air carriers to accumulate miles. The full information of miles usage is not available on the websites. It is advised to ask about seats of affiliated air carriers. It means that, for example, the miles of American Airlines can be used to get a seat upgrade on the flights of Etihad Airways. So, call the airliners and take advantage of your miles. Most of the upgrades are available at midday, midweek, and off-peak times. The second-tier airports are also a good option to get the award-seats. There are many web services, which can make all the job of researching airline partnerships and moving points or you. These include Book Your Award and PointsPros. Naturally, these services have their prices but they are worth it. How to Get Cheap First Class Tickets without any fees? 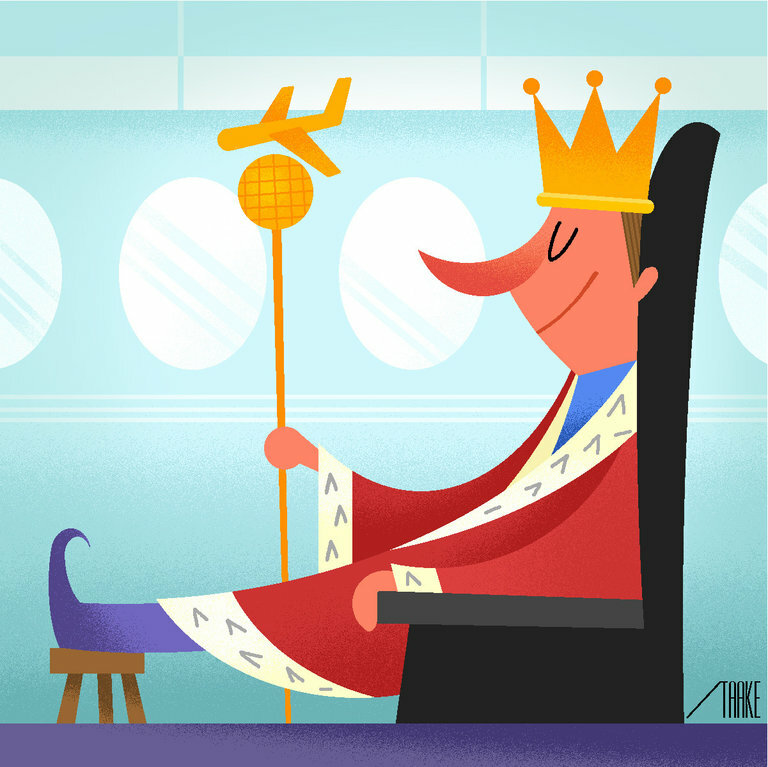 Airlines reward their elite and frequently flying customers as those bring them increased revenue. So when it comes to cheap first class flights, these passengers are on the top of standby lists. To become one of them, you can simply join frequent flyer programs offered by all airlines. Strictly speaking, “true” elite clients get their premium seats in any case. However, you have all the opportunities to achieve that status with time. By the way, it works more effectively when you constantly earn points from a particular airline of your choice. You don’t have to be elite by birth to become an elite flyer. Your credit card can actually help you to get special status. All major airlines offer their customers co-branded credit cards that allow earning miles and using those to get an upgrade to first or business class. 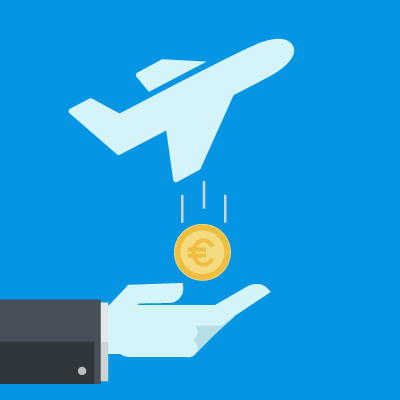 Even though most airlines charge certain fees for that, you’re still able to hugely economize. There are also travel-themed credit cards, such as Capital One Venture Rewards, Chase Sapphire Preferred, Discover it Miles etc., you can use flying with major air carriers. There is a special type of cheap first class fares known as Y-UP or K-UP fares available within the USA or Canada. In fact, you book those seats as coach in the online system. However, if there’s enough space in first or business class, you automatically get seated there. Say, if you are a corporate traveler, this is a perfect solution: you buy a seat in coach class yet almost certainly upgrade to first. Keep in mind these fares aren’t so easy to find cheap first class tickets on the Internet so we’d advise you asking your airline directly about them. Besides, some airlines offer a limited number of upgrades available for “elite” passengers only – check it out before purchasing. Sometimes, it’s pretty enough for getting an upgrade. Just ask the frontline employees of your airline if there’s any possibility to upgrade to first class. Of course, this requires certain preparation: you should look ultimately good and know how to speak to people to make them willing to assist you (keep reading this article and find more details below). Did you know that air companies frequently oversell flights with the purpose to make as much money as possible? They know: some passengers will definitely miss their trip for various reasons. Yet sometimes, planes are packed. In this case, airlines ask for volunteers who’d agree to get bumped off their flight and take a later one. Tell them you’re ready to give up your coach seat if they upgrade you to first class on the upcoming flight. Who knows, maybe it’s your happy chance? When you fly coach class and there are any inconveniences that are undoubtedly the airline’s fault, you are entitled to compensation. Say, if your seat is broken, some onboard devices don’t work properly, your luggage is lost, or your trip is delayed, you can ask the staff to reassign you to first class. Just don’t break anything on your own in order to force the issue! 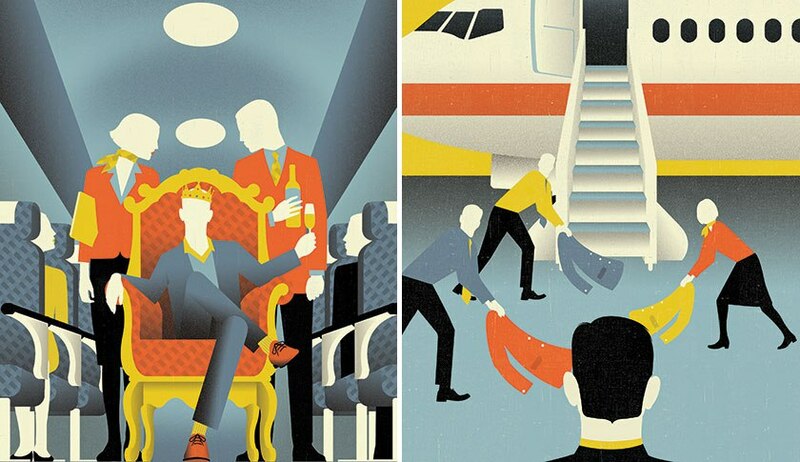 If first class seats on your flight are undersold, the airline loses its expected revenue. Surely, no service provider can be satisfied with it. In such cases, airlines do their best to sell out premium class tickets before a flight takes off. So economy class travelers have a good chance to purchase an upgrade at a minimal rate. This information is typically given on the airline’s website or you can obtain it at your request. Airline employees and their relatives and friends get so-called buddy passes that allow traveling for reduced rate or free. So if you’re linked to someone working for an air company, this is your chance to get cheap first class airline tickets! Yet keep in mind most airlines charge certain fees for trips of such kind. Moreover, those passes are only handy when premium class flights are underbooked as buddies usually have the lowest priority in the standby list. National and public holidays (and often weekends) are the time when first and business class flyers typically stay home. Consequently, premium cabins are undersold and seats are offered to economy class passengers. Another great idea is to book your trip well in advance since many airlines offer early-booking discounts on first class seats. Sometimes, it’s necessary to pay quite a lot for privileges to fly first class cheap. First, you can become a frequent flyer – and better if you always use the same airline or a couple of them (see below why). Second, your airline might provide you with a cheap or free upgrade in case you pay large fees for extra services – say, for your baggage check-in. 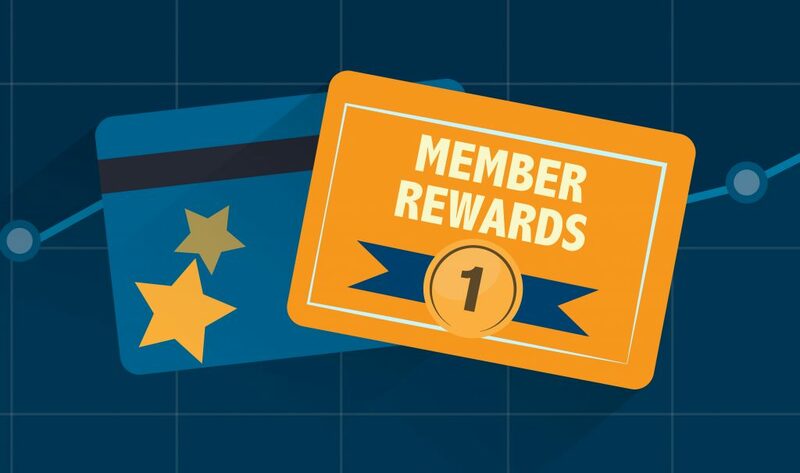 Nowadays, every airline offers loyalty programs. All you have to do to get the cheapest first class tickets is to become a member! Loyal clients regularly get discounts and rewards of all possible kinds. Furthermore, repeatedly traveling with the same carrier, you will be able to accrue miles and spend those on upgrades. Sometimes, flights are underbooked so airlines provide discounted first class tickets or even free upgrades to their customers. Of course, there are usually no more than 1-2 seats available and you should be quick to take an advantage. Show up at the check-in counter like 10 hours prior to your departure and be the very first person in the queue! If you’re done with intricate schemes for winning cheap first class tickets on airlines, there’s a perfect alternative. Just consider it only works at busy times when flights are overbooked. Test your luck! Don’t reserve your seat and be late for your plane – if the day is yours, you might get a free upgrade. Yet schedule your time carefully: if you arrive after the check-in is over, you will likely miss the entire trip. Modern technologies give us numerous perks. In particular, when it comes to searching for cheap first class deals – there’s probably no more convenient and fast way. Sign up your airline’s newsletter to monitor sales and receive attractive proposals on your email. Besides, there are some newsletters and forums (like FirstClassFlyer.com and FlyerTalk) providing the latest info about premium class fares. Sometimes, air companies inform their passengers about cheap upgrades just several hours before a flight takes off – so keep checking your emails for last-minute offers! Finally, you can participate in online bids conducted by major airlines around 75 prior to any flight departure. Submit your price for an upgrade and try your fortune! Demonstrating a bit of aggression might work – especially when your airline’s service is imperfect. If they fail to meet all your requirements, you actually have a legal right to claim for a sort of compensation. Air companies don’t like losing their profits so your carrier will do anything to satisfy you. Another tactic to make a check-in agent to provide you with a first class seat is to awaken his/her sympathy by using your acting skills. Tears of desperation have a huge power when those are squeezed out in the right way. Even if you overact and irritate everyone around, the check-in staff may agree to upgrade you for free just in order to isolate you from the rest of passengers. First class seats are typically offered to passengers who somehow distinguish from regular flyers. So if you have some title, why not use it instead of flying economy over and over again? As a rule, holders of diplomatic passports, as well as officials and doctors, get free upgrades quite easily. If you don’t have any document confirming your special status, perhaps some of your family members have it? Well, this isn’t good for your health at all. On the other hand, people of this body type sometimes get upgrades as first class cabins provide extra space for each passenger. In our view, cheap upgrades to first class aren’t really worth sacrificing your health but you can have it your way, of course. 19. What about your manners? To become a first class flyer, you should demonstrate the appropriate behavior. Remember: they almost never provide upgrades to first available guys wandering the check-in hall. So your task is to stand out from the crowd. Watch out your speech, kindly smile to everyone you talk to, and generally be polite and welcoming. Well-mannered and intelligent people are always eye-catching. The way you look should tell anybody that you’re eligible for traveling first class. So manage to dress sharp and groom yourself properly. Since most people aren’t really concerned about how they look during long trips, a classy dressed traveler instantly draws the attention of people responsible for premium class sales. Wear business casual, act your best, and see the effect! Continuing the theme of image-making, let’s work on your communication skills. In the modern era, the ability to charm people is absolutely vital to your future. Why not start practicing right at the check-in counter? Know how to pay compliments and chat to both the check-in personnel and the cabin crew. Words should become your secret power: if you choose them wisely, the reward is guaranteed. Well, it’s nothing criminal about asking your benefactors to give you a hand from time to time. Today, networking becomes the key to personal success. Even in such trivial situations as booking cheap first class tickets. If you know someone who is capable of providing you with an upgrade, why not use this opportunity? The manner you ask check-in agents for an upgrade matters a lot. If you behave rudely or have too many weird requirements, they are likely to refuse to assist you. Know what you want and how to achieve it – this rule works in any cases. Airlines rarely upgrade their customers for no reasons so your job is to understand why exactly you are the right candidate to promote. Travel agencies normally cooperate with airlines so they can offer you the abundance of perks. That’s why choosing the right travel agent is essential for getting access to the best first class airlines. Agents are normally allowed to book discounted premium seats for their clients on a priority basis and see if there is any upgrade availability. Many resources on the Internet advise traveling alone to get an upgrade as there are usually not so many seats available in first class. However, you can also gain from traveling with your family members or companions because a two-for-one purchase may be cheaper than two coaches booked separately. Surprisingly as it may seem, low-cost carriers offer first-class sections in their cabins and some budget airlines even provide cheap business class fares. Obviously, their service is typically lower in quality than what’s offered by standard airlines. Yet if you don’t chase after ultimate luxury, you can buy first class tickets at relatively low prices. You see, there are normally a very few first class seats available at reduced rates. So instead of looking for cheap round-trip first class deals, you may purchase two one-way tickets on different airlines. Thus, your chances to find what you want double. Now, one-way trips generally cost the same as round trips. Especially on some domestic routes, there is usually no huge difference between prices for coach and first classes. Not always airlines spread the word about first class ticket sales. Sometimes, upgrades are available to customers who only book their tickets on the website. They offer you discounted first class seats after you’ve already reserved one in coach class. Offers might pop up as you book a flight or check in for it so remember to constantly monitor your reservation online. Being a regular customer of any of major US airlines, you can now pay for the half of a round trip with your accrued miles and save money to buy a return ticket (note that it should originate outside the USA). Thus, you can both times travel first class for cheap. Many US airlines provide cheapest first class flights to Europe from East Coast or the Midwest. If you don’t live in the gateway city, you’re likely to pay for an extra domestic trip. Look for cheap coach fares and save money and cut costs of your international first class flight!